For President Truman’s birthday in 1947, a bowling alley was installed in the basement of the White House, under the North Portico. That started the American tradition of basement game rooms – which continues to this day. In many ways, a game room is one of the best uses of finished basement space. Because basements tend to have large areas of open space, it allows for easy installation of a pool table (or even a bowling alley) that wouldn’t fit upstairs. You can also finish a basement with hardwood floors and other tough materials ideal for entertaining – ones that aren’t suitable in a living or dining room. Adding a wet-bar or a fridge is another way to maximize the entertainment value of basement space. But there are some factors you might want to consider – and safety is one of the most important. 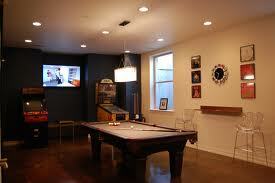 If you plan to finish your basement as a games room, adding a “means of egress” is an essential. Part of national building code, an egress basement window serves as a means of escape in the event of a fire or other emergency; and statistically they’ve been shown to save hundreds of lives. But a basement window well is also a great addition to your basement for many more enjoyable reasons. In a games room especially, having a window is a great way to add a source of natural light – not to mention fresh air and ventilation. That’s important in basements; as it helps reduce humidity and moisture, which in turn helps prevent mold and makes for a much nicer environment. But there’s an even more valuable reason to install one: While Egress window wells are one of the rare building requirements that actually enhance both the aesthetics and value of your home; they also ensure that when you do come to resell, you’re not suddenly saddled with the cost of fitting a means of egress to meet code.